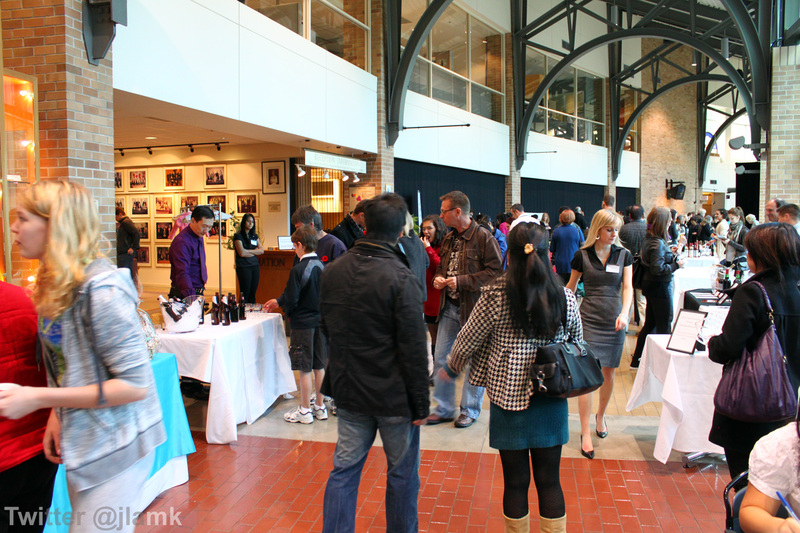 After attending the Great Wine & Chocolate Dessert Challenge two weeks ago, we received invitations to two more Chocolate Festival 2010 events. 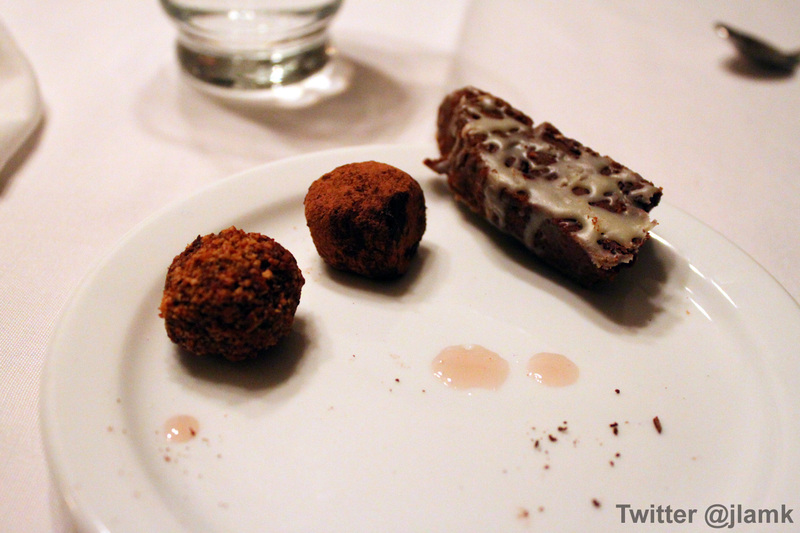 Mr. and I attended both events this weekend, making it a chocolate trilogy. And here is Part 2 and Part 3 of the Chocolate Festival Saga. This event took place on Friday at the historic Mackin House in Coquitlam. It’s a 100 year old heritage home showcasing the turn-of-the-century lifestyle. With the warm fireplace burning on a cold, rainy evening, the house provided the 20 attendees with an intimate setting for chocolate and wine tasting. 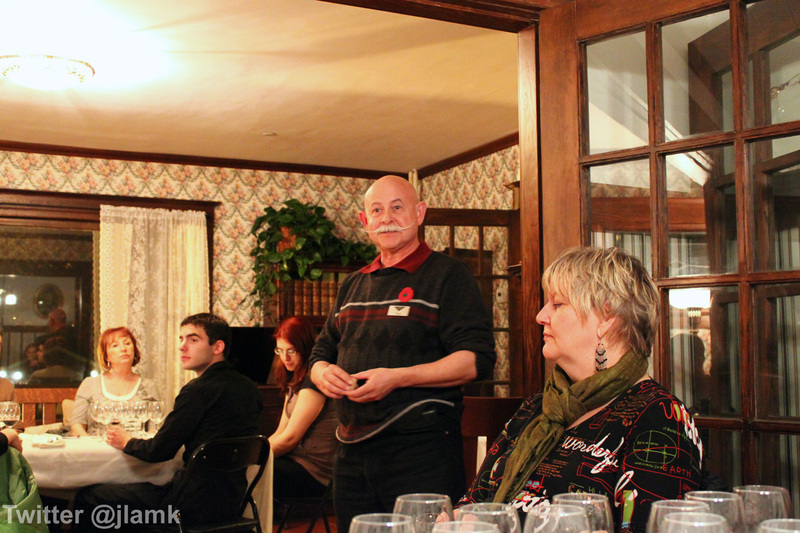 Blodwyn and Ted from Fort Wine Co. hosted the event by enlightening the guests with the history of chocolate and fruit wine production. 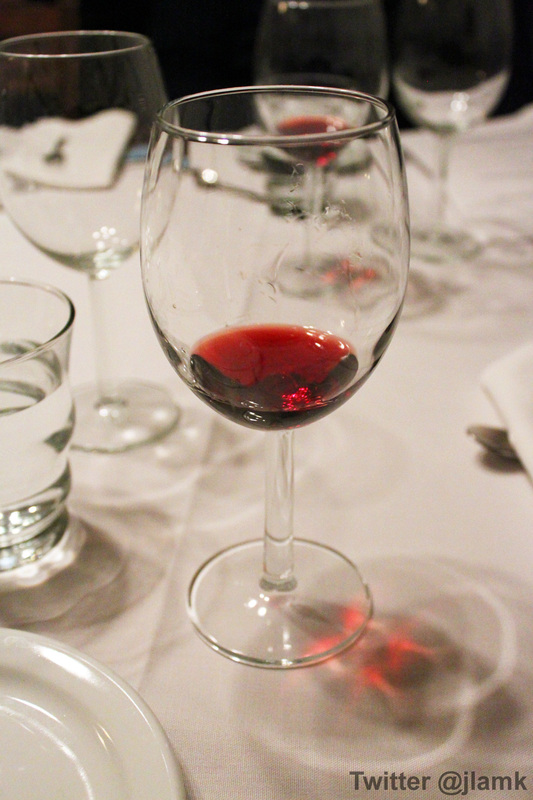 The evening was followed by the pouring of five different wines from Fort Wine Co., including two table wines and three dessert wines. 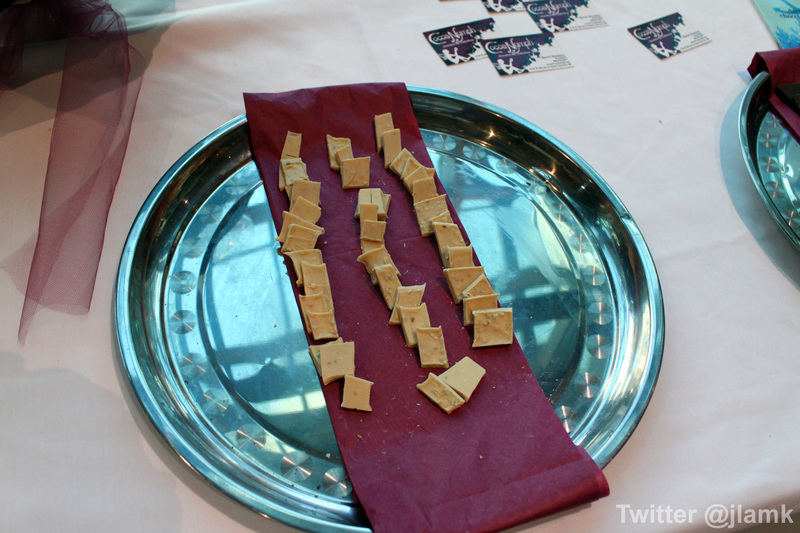 They were paired with three types of chocolate from Organic Fair on the Island. Of everything we tried, we particularly enjoyed the Isle Queen, the port-style blackberry wine, and Finger Fruit, the raspberry dessert wine. Both are fortified dessert wines that interpret the natural sweetness of the fruit but with a kick from the added alcohol. The Isle Queen was particularly enjoyable with its rich blackberry taste and smooth texture, despite the high alcohol content; and the Finger Fruit was very fragrant and I prefer this one over the Framboise from Elephant Island Orchard Wines. The chocolates from Organic Fair were of high quality, as we didn’t taste any sourness in the dark chocolate — what you may find in some lower grade dark chocolate. I secretly hoped that we could have more chocolate than what we were given to taste. 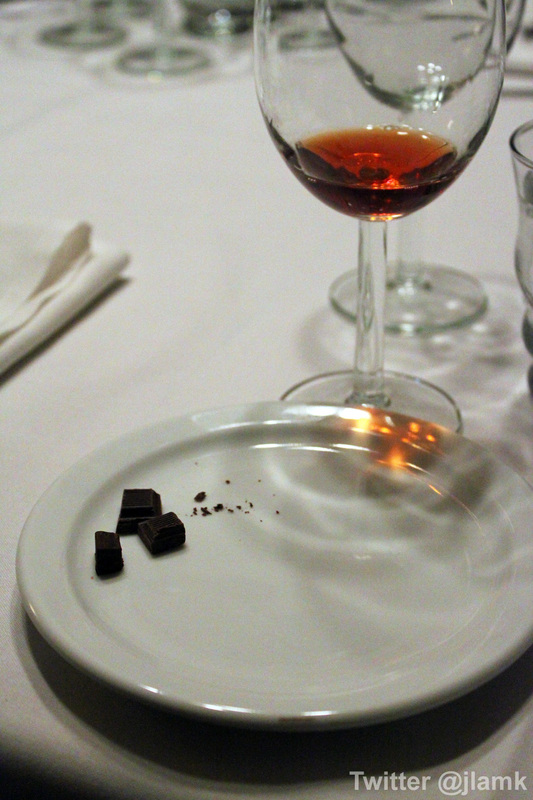 While both the chocolate and wines were delicious, we felt a little disconnection between the pairs. 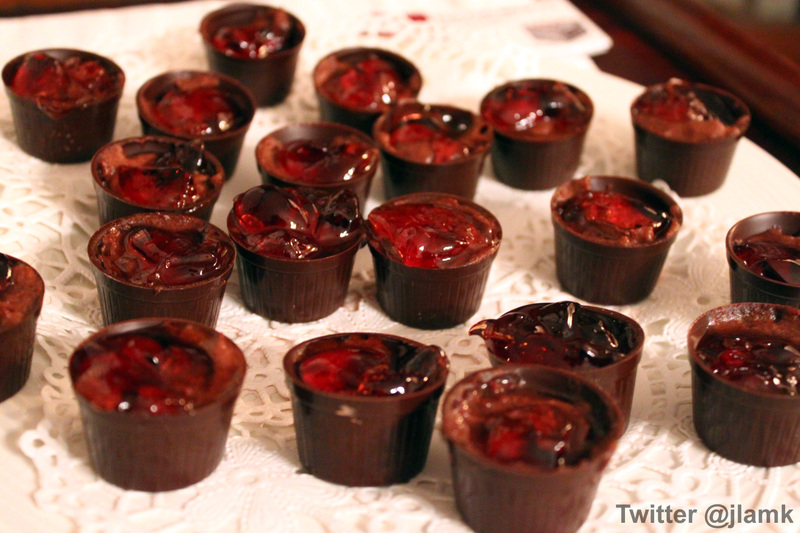 To finish off, Blodwyn passed around a chocolate cup filled with Finger Fruit-infused chocolate mousse topped with Finger Fruit wine jelly. We were also treated with chocolate biscottis and truffles prepared by students enrolled in the high school culinary arts program. This was a perfect evening out for couples who are into wine and chocolate. The last chapter of the trilogy was also the Festival send-off. Happening on Sunday, this was drastically different from the previous events with its trade show format combined with art performances by local youth. The event was of great value; for just $25, guests had the opportunity to sample desserts and wines from a number of companies including Quady Winery, Rubens Chocolate, Fort Wine Co., Tea Desire, CocoaNymph and others. As you may know, the Chocolate Festival was founded to support students and offer them with mentored work experience and arts opportunities. This reception concluded this year’s festival by inviting these students from various choirs, dance studio and martial arts school on stage to perform for the guests. 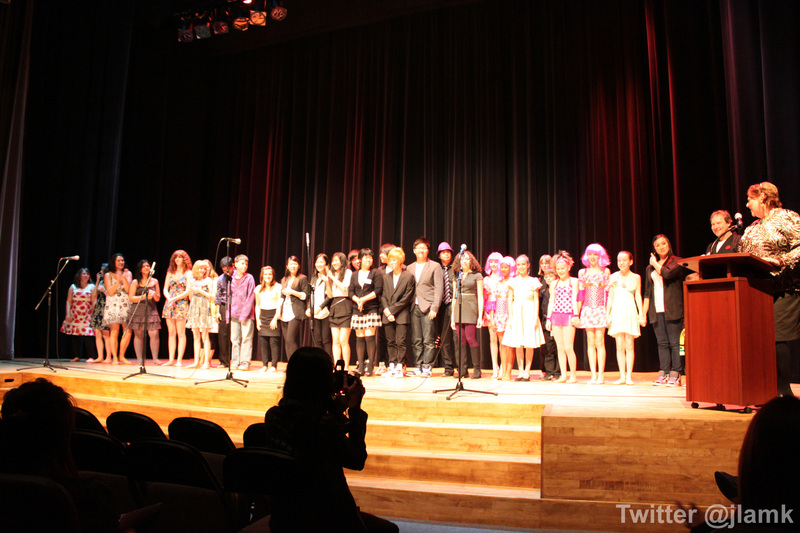 They were great performances and it was great to see the difference this Festival has made for local youth. Now back to the food and wine. This event revisited the companies that participated this year by showcasing a number of them in the same room, which made this a great opportunity for people that missed out on the other events. 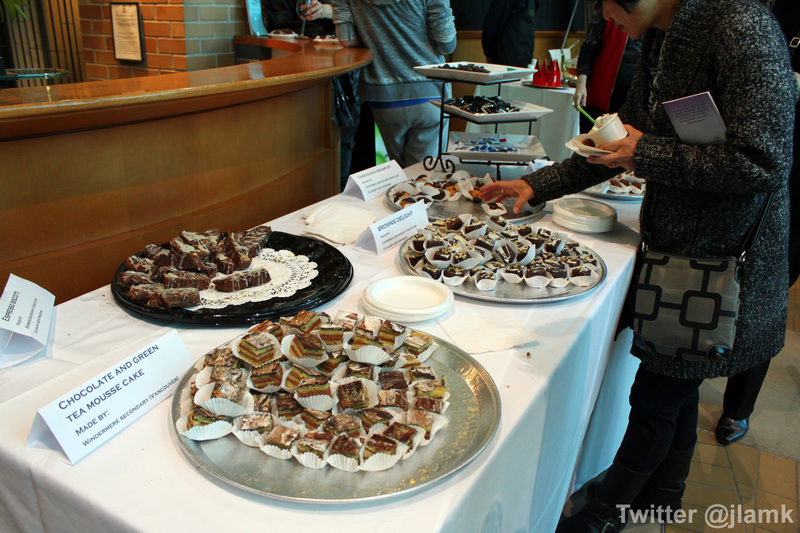 It was also fun to see the use of chocolates in other foods, such as pastries and ice cream. Mr.: CocoaNymph stood out for me with their application of sea salt in dark and white chocolates, and their use of toasted sesame seeds in white chocolates. I have always been a fan of sweet and salty desserts. Unibroue had their classic white ale, Blanche de Chambly, present. I’ve never had anything quite like it before, and I look forward to having it again. The taste was smooth and rich, with a hint of citrus, yet it was also crisp and sharp, with a very clean bitter-less aftertaste. It was the best of both worlds. This event was an interesting combination of reception style tasting with what seemed like a school recital after. It was the first time that I saw a live glee club performance, and although not as polished as the TV show, it was just as fun. This was the perfect end to the 2010 West Coast Chocolate Festival. We’d like to thank Dawn Donahue, Festival Director, for inviting us to the events. And a BIG congratulations to all festival staff and volunteers for putting on such a great series of chocolate filled events this year. Joyce, it is always a pleasure to see you at our events. you are welcome any time, any where. thank you for the great blog, the awesome photos and the support. november 10, cheese chocolate and champagne – it has your name on it… hope to see you there.